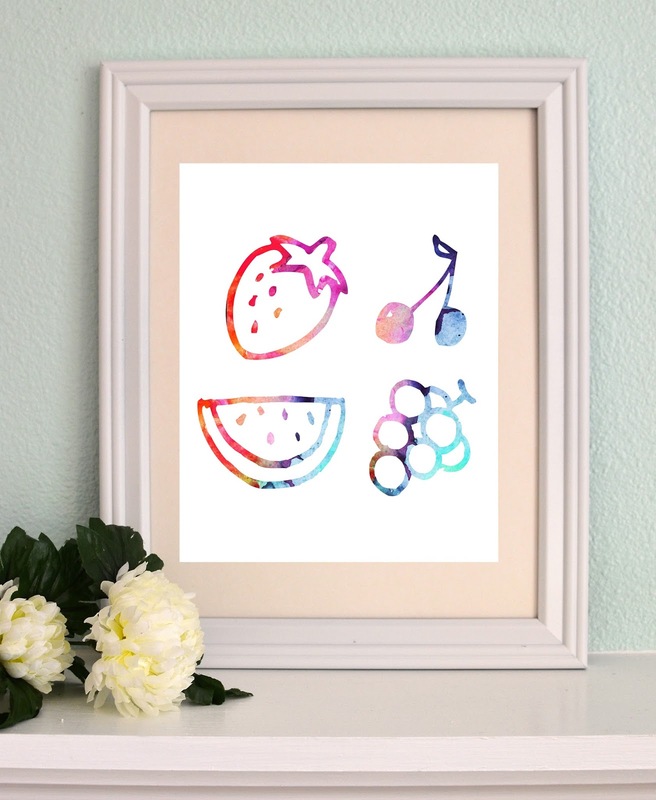 ' Watercolor Fruity Printable - Sisters, What! How do you survive the summer heat? I personally can't get enough fruit. My absolute favorite fruit treat is frozen grapes. My mom would freeze green ones all summer long and we'd call them frog eye balls and laugh our socks off. My hubby thinks I'm a little weird when I freeze grapes and call them that. I totally agree. But seriously, you need to try frozen grapes, they are delicious! What a cute printable too! !